I have made no secret for my love of Pepper Lunch. I am also very vocal on how much I love lamb dishes. So what happens when you combine my favorite gamey meat and The Original Japanese D.I.Y. Teppan Restaurant? Pepper Lunch's Premium Lamb Steak dishes, of course! Available for a limited time only, starting November 1! 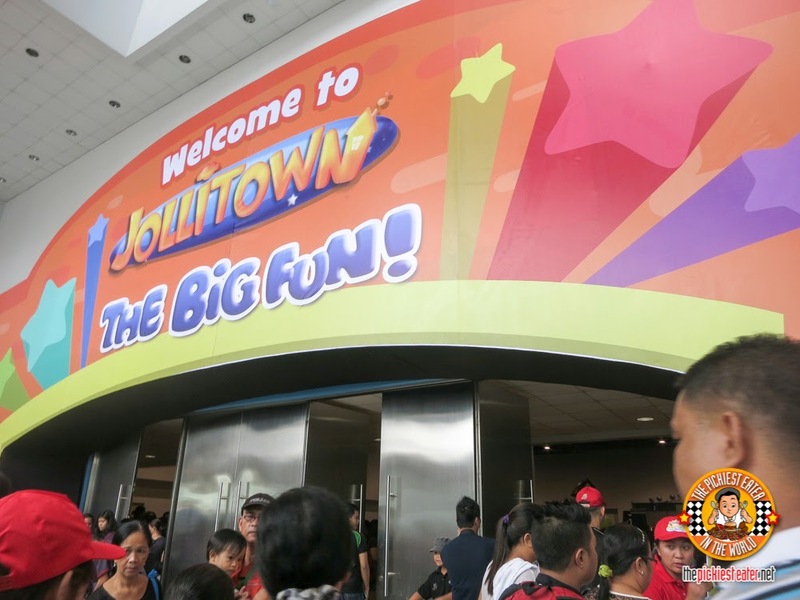 Jollitown Big Fun Event happened last Saturday at the SMX Convention Center wherein Jollibee created a cool place where Jollibee Kids Club members can have loads of fun in different booths for one whole day! I am proud to say that I was able to check off experiencing Authentic New York Style Pizza from my bucket list during my visit to New York in 2012. Since then, we have tried numerous pizza specialist in the metro, all very good in their own right. But there was one New York Style Pizza place in particular that opened its doors earlier this year, that I can safely say, was the closest to bringing me back to the Big Apple, and allowed me to relive my short fling with their world famous pizza... Motorino's Pizzeria Neopolitana. "*Grumble*.. uh.. He-.. Hello? ", the groggy voice on the other line said. I knew my wife was already sleeping, yet I couldn't resist. "Meet me at the front of the house in five minutes", I said. "Oh, and don't forget to bring the camera". As I arrived, the shock on Rina's face was evident. She was clearly wondering which Celebrity or politician pulled up to her gate. Much to her surprise, it was little old me. That was my very first Uber Ride last March. I haven't taken a regular taxi since. Like everyone else (not connected to any Taxi operation or The Land Transportation Franchising Regulatory Board, of course) I am infuriated by the LTFRB's "Crackdown" on the app, UBER, and its contemporaries. I honestly don't know the legal mumbo jumbo that the LTFRB is spewing out in trying to justify its stand on treating this service - which by the way has helped hundreds get a ride in the traffic congested metro- like a crime, similar to drug dealing. To go out of their way and do a "Sting Operation" just to "Bust" the driver, which resulted in a P200,000 fine for the operator and a 3 month impound? Was that really a smart way to spend tax payers money? I'm baffled why the LTFRB is going out of their way to STOP a service that is clearly helping people, and is preferred by a good number of the public. I think LTFRB Executive Director Roberto Cabrera III needs to stand out on the street and try to hail a cab more often during rush hour so he'll know what it feels like to be a stranded commuter. If you don't know what Uber is, it's a smartphone App in which will find you an available vehicle nearest you from its fleet. Once an available driver is alerted to your location, you will be given an estimate on the time they will arrive at your pick up point, even giving you the description of the car, and the contact details of the driver (including a photo for ID Purposes!). Everyone I know that has tried this app, has nothing but good words to say about it. If you haven't tried it yet, I highly recommend you do. Here are some reasons why I love UBER. I have a thing for pork. I think I've made that clear in my four plus years as a blogger. Regardless of it's shape or form, Pork is something that simply works for me and my taste buds. So imagine how I felt when I was invited to sample a couple of slow cooked roasted suckling pigs fresh out of the oven, at the home of a man that is taking the classic Cuchinillo to the next level.. Then not being able to go. After missing the first event that left me no choice but to stare helplessly (not to mention enviously) at my friend's instagram pictures, I was determined to not let the next opportunity slip away. A couple of days later, Nina, the event organizer, sent a message me, Spanky and Yedy.. The three bloggers that were absent that evening, inviting us to set a new schedule. "Come hungry. ", her E-vite reminded, to which I replied, "Have no fear, "Hungry" is my default setting". 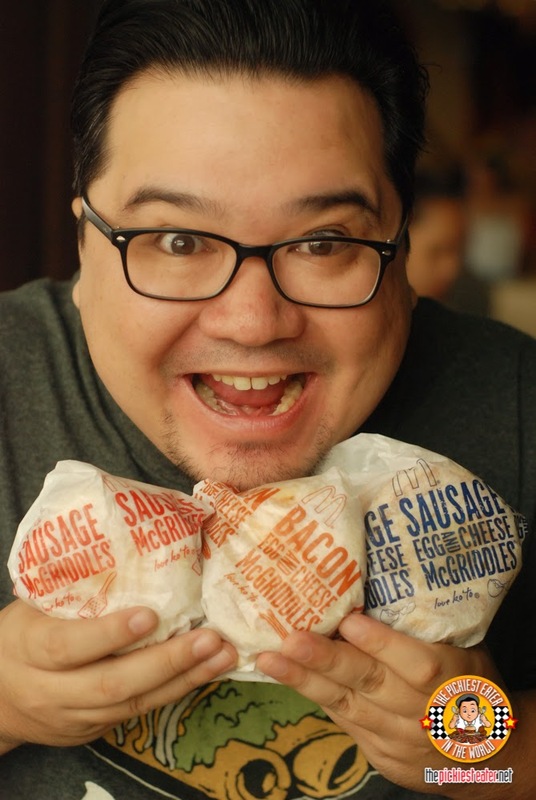 By day, he is Tinee De Guzman, the mild mannered food photographer. But by night, he takes up the mantle of "Mr. Cochinillo", the newest name in delicious slow roasted, suckling pigs. If you ever plan to watch a movie and pig out at the same time, may I suggest you watch at Greenhills Promenade? So you can also order your movie food from Munchtown! 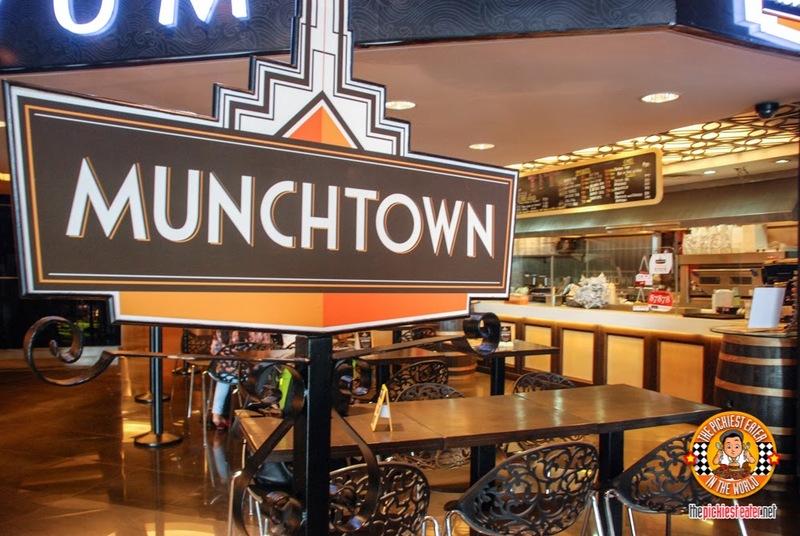 The fun thing about Munchtown is their extensive menu. 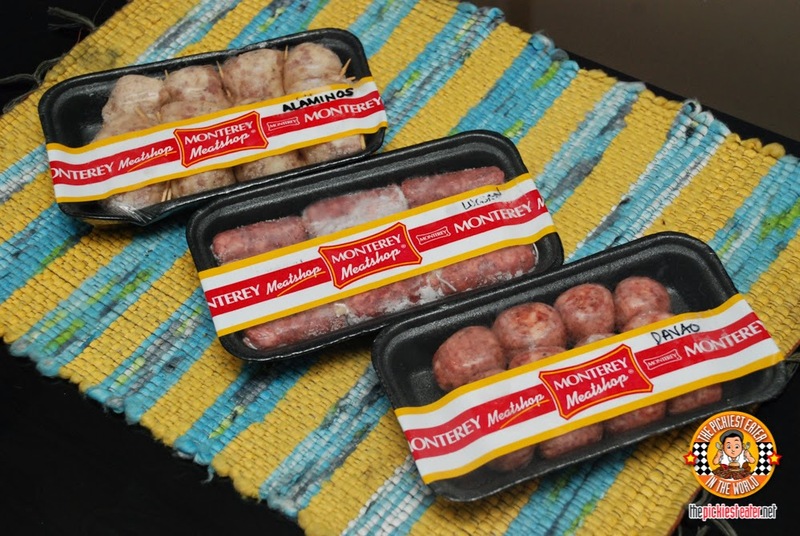 You may have already seen our post about all those Munchtown hotdogs. If you have then you'll already know what I mean. And the fact that we're doing another post about Munchtown only means one thing... There's more food we'd like to share with you! This time, it's all about PIZZA!!! 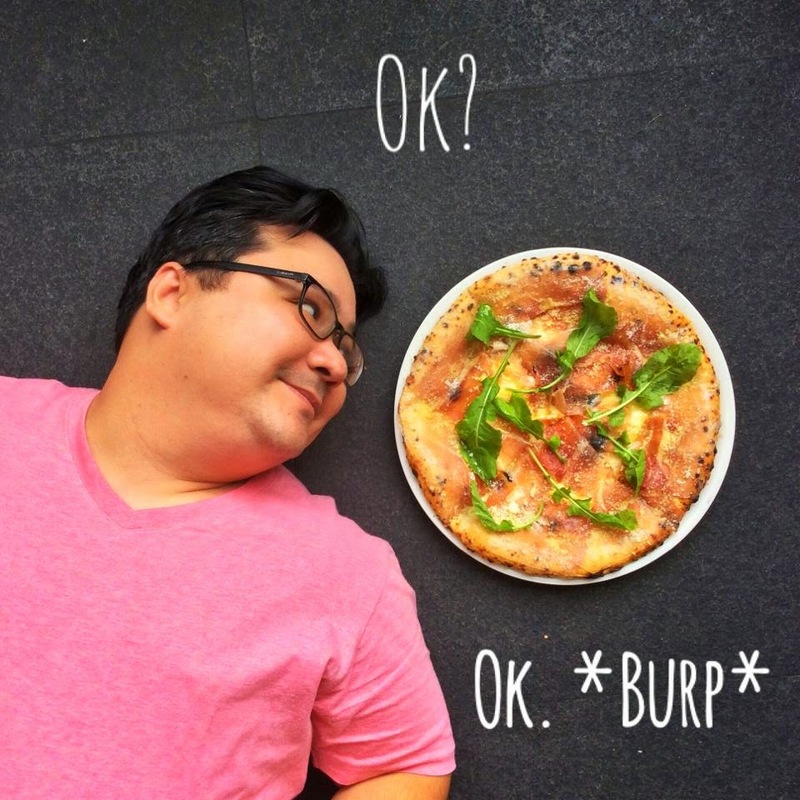 Munchtown's Pizza is not your usual commercialized round pizza. It's got a more rustic oval-like shape that's 8 inches with 6 square slices. You can say it looks homemade! We got to try all 6 flavors. OH NO THEY DIDN'T! 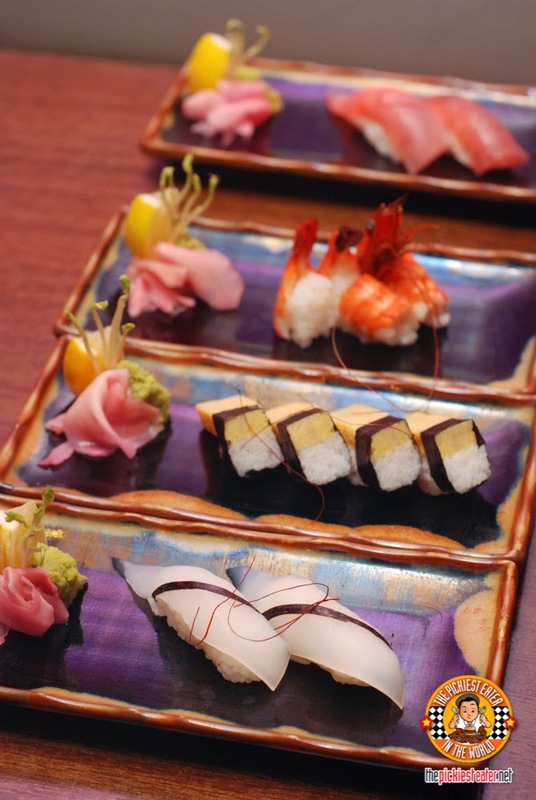 OSAKA OHSHO'S BACON GYOZA AND OTHER NEW DISHES! When I first visited Osaka Ohsho, I was expected to be blown away by what they claimed to be "The World's #1 Gyoza". No doubt about it, it was very excellent Gyoza - definitely among the best I've ever had-, but to me, it wasn't really mind blowing. I realized the problem wasn't in their version of Gyoza.. It was Gyoza itself. I mean, as much as I enjoy Gyoza, how exactly do you elevate ground meat and cabbage in a pan fried wrapper, to the next level? Rina joked, "I'm sure you'd say it was "Mind-Blowing" if it had bacon in it, right?". I smiled back at her and winked, "Right". I don't know if someone from Osaka Ohsho was listening, but months later, Osaka Ohsho has gone and done it. They made a Bacon Gyoza. Call me biased, but now, I'm on board. To me, THIS truly is the World's Number 1 Gyoza. 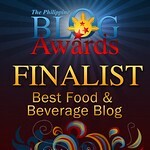 UPDATED: BABY RAIN'S BDAY GIVEAWAY: KING CHEF DIMSUM KITCHEN! 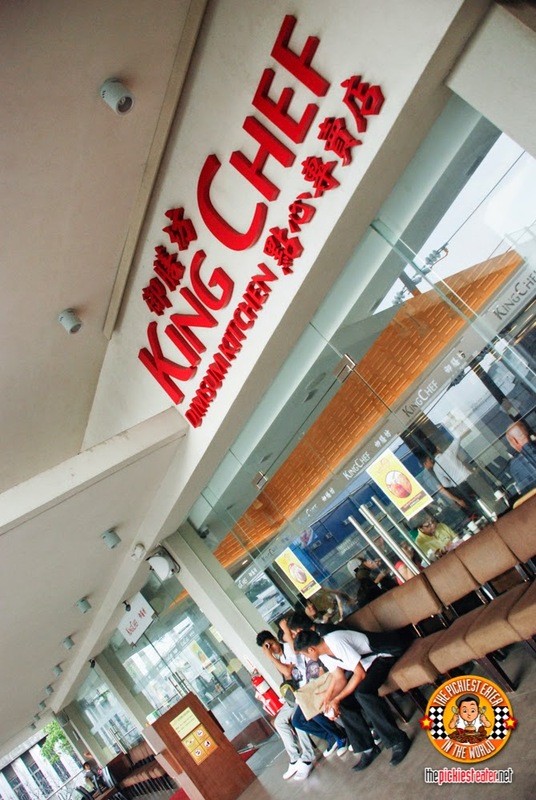 If you're ever in the vicinity of Banawe in Quezon City and you're craving for some good and affordable dim sum in a bright and very presentable place, King Chef Seafood Restaurant would be your best bet. We recently went there with a couple of our other blogger friends to try their long list of over a hundred type of dimsums! And the best part is, they have Morning, Afternoon, and Late Night Tea Time where they offer a huge discounted price on their dimsum! It was in 2013 that I declared that The Pickiest Eater blog would be expanding, and would now be featuring hotels around the country, including those located within the metro. 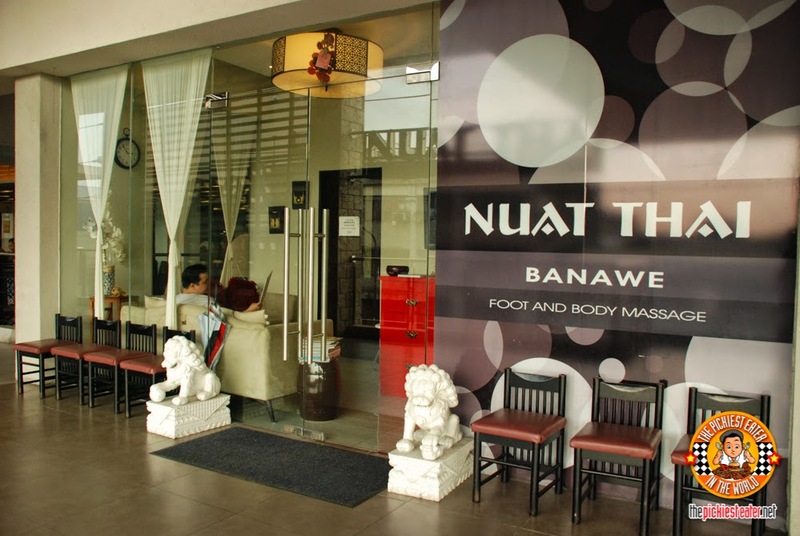 Since then, I have had the good fortune of experiencing the accommodations and services of some of the finest establishments the Philippines has to offer. With all the negativity you hear about our country, its always nice to see how we have hotel chains situated here that we can be proud of, especially with tourists. It's probably a given that their airport experience will not be all that pleasant, but at the very least, once they've checked in to their hotel, it's comforting to know that they will get the genuine, welcoming warmth that the Philippines is known for. This year, I have been fortunate enough to travel to three different countries - Korea, Hong Kong, and The United States. All beautiful countries, no doubt, but when it comes to hospitality, there's nothing like the genuine warmth of the Filipino. Which is why I always enjoy staying in different hotels, whether it's for a vacation or a "Staycation". 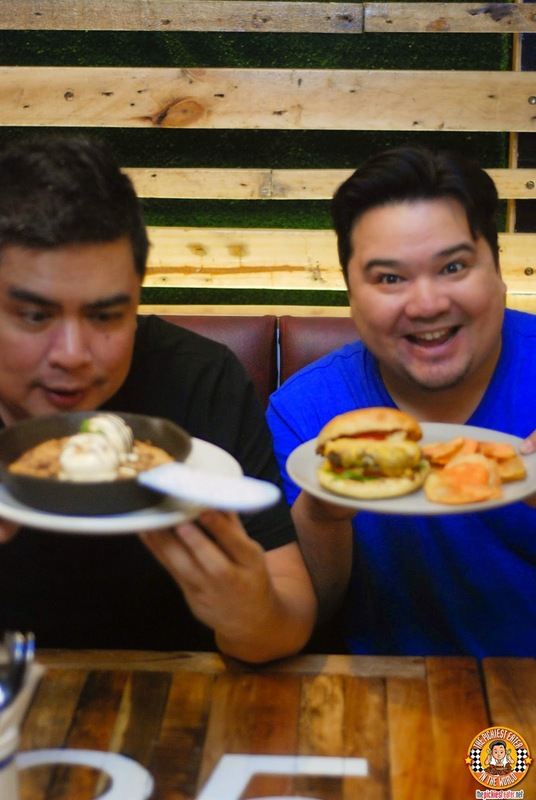 Recently, Rina and I went on a Staycation at a hotel located at the bustling Ortigas Business District. 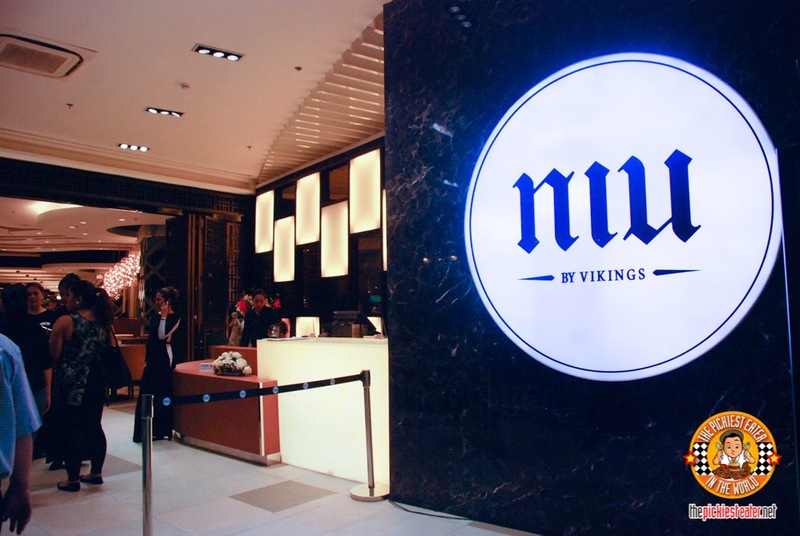 I honestly wasn't really expecting much from Oakwood Premier Joy-Nostalg Center Manila. Truth be told, I didn't even know Oakwood had moved to Ortigas til Rina went there earlier this year. Well, I was in for a rude awakening because I discovered that Oakwood is actually one of the finest hotels in the metro. 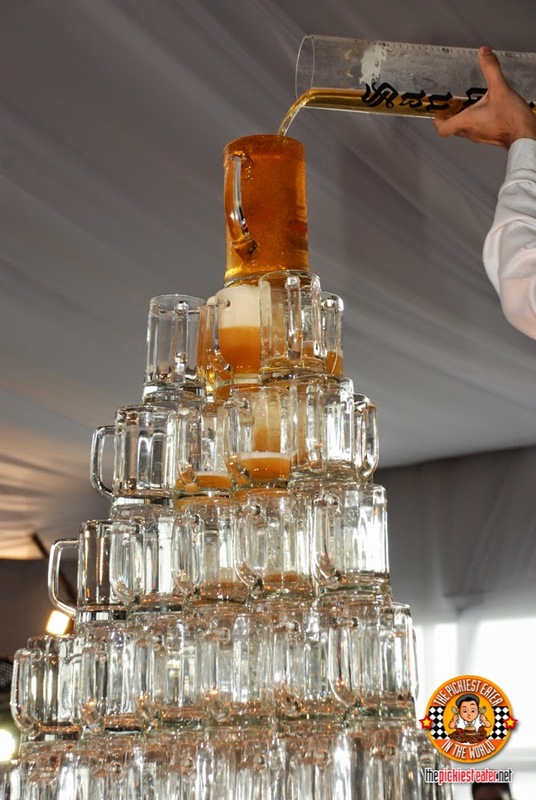 And just like that, it's Oktoberfest once again! 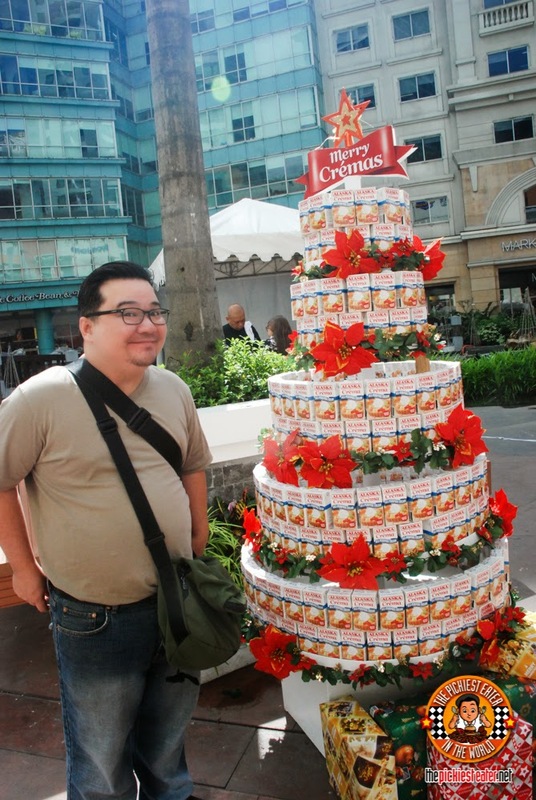 I'd like to know how Chef Him Uy de Baron's mind works. His understanding of the intricacies of various flavors is nothing short of otherworldly. His masterful use of ingredients that I often had never heard of before (well, mostly the vegetables at least), makes every visit to his restaurant, Nomama, a new gastronomic adventure. Nomama has made itself for it's artisanal Ramen dishes, but believe me, Chef Him's culinary skills go far beyond delicious hot bowls of noodle soup. 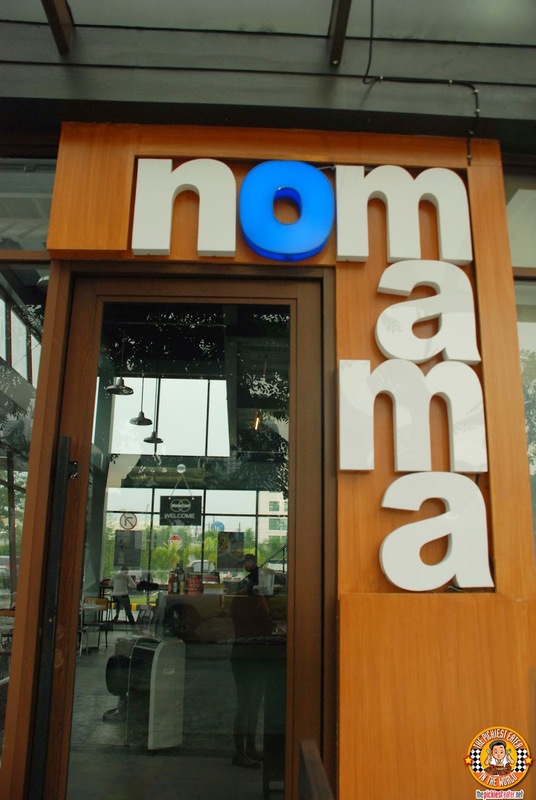 And since they opened a new branch in Capitol Commons a few months back which is so much nearer to me, I dropped by with some of my food blogger friends to get a firsthand taste of the new Nomama experience! WHODUNNIT?! MURDER MYSTERY NIGHT AT EDSA SHANGRI-LA HOTEL! Imagine you're at a snazzy Italian restaurant in a Five Star Hotel, expecting to eat a fancy four course meal prepared by an illustrious chef. As you share a conversation with your companion, while waiting for your appetizer to be served, a detective walks in and introduces himself to the entire room. Why is he here, you wonder? Something must be definitely amiss. Save for the man who obviously had too much to drink and is now "napping" at the Poker Table at the center of the room without a care in the world, this restaurant or should I say.. "Casino", nothing seems to be out of the ordinary. After surveying the room while asking the guests a few questions, the detective reveals the truth. The man sprawled across the porker table counter isn't drunk. He's dead. And so began the first act of Casino Fatale: Edsa Shangri-la's Murder Mystery Dinner. You ever get that feeling like someone is watching you? Quite deliberately, I tend to lean towards the more simpler fare when it comes to food. Some may even say that it's borderline "junk food". But since I became a blogger, every now and then, my gastronomic horizons are expanded, and I get opportunities to join sophisticated dinners prepared by a chefs that have cooked in some of the most prestigious restaurants from around the world. One such meal - and perhaps one of the most memorable meals I have ever had - was just earlier this year at Vask Modern Tapas & Gastronomic Cuisine. 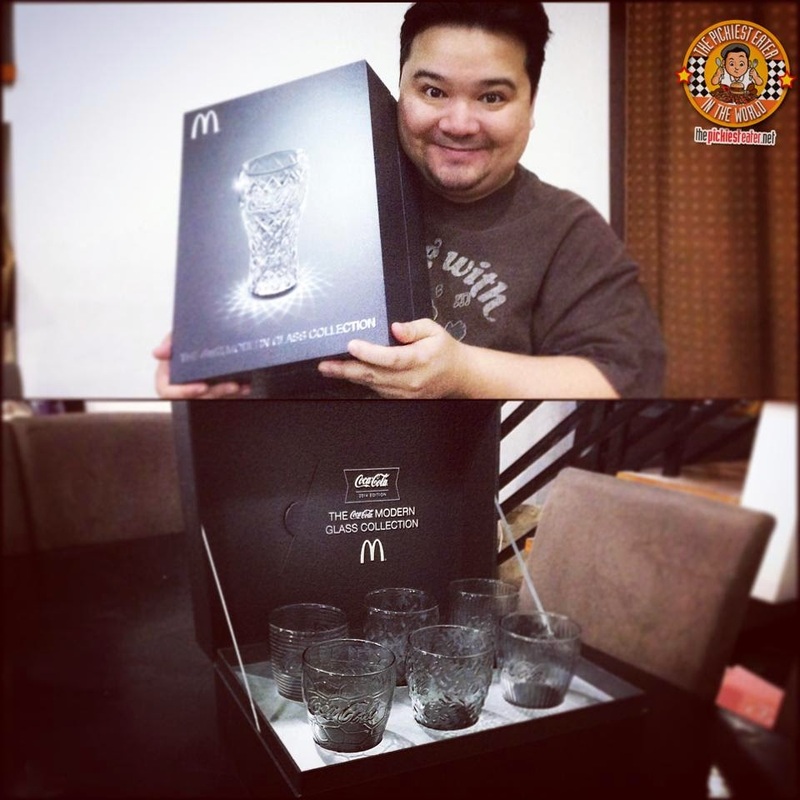 Richie and I were in SM Aura a couple of days back for a certain event, when we passed by McDonald's to get her favorite Shake Shake fries (Triple cheese flavor), when we noticed that McDonald's had some new McFlurry flavors! Naturally, we just had to try it! And we had a feeling that Rain will love it too. Why? Because there are cereals in it!! !